Nurfarhana Hizan Binti Hijas & Nor Hazwani Binti Ahmad Ruzman (2018, January). Symphalangus syndactylus (Raffles,1821). Malaysia Biodiversity Information System (MyBIS). Retrieved April 22, 2019, from https://www.mybis.gov.my/art/191. Symphalangus syndactylus (Primates: Hylobatidae) also known as Siamang, is the largest gibbon species found in Southeast Asia. It is native to the mountains and hills of extreme South Peninsular Thailand, Peninsular Malaysia, and the Barisan Mountains of Sumatra, Indonesia (Francis, 2008). Siamang can be recognised by its all black and long shaggy hair, especially on its legs and long slender arms. These characteristics give it a thickset appearance among the gibbons (Francis, 2008). Its head-body length can reach 750 to 900 mm. An adult male can weigh between 10.4 to 15 kg, while the female can weigh between 8 to 11 kg. Compatible with its large body size and big appetite, it has large hands which are larger and longer than its feet, helping it to move easily from one tree to another in search of food. Like all other primates, the Siamang is an arboreal animal that is active during the day. 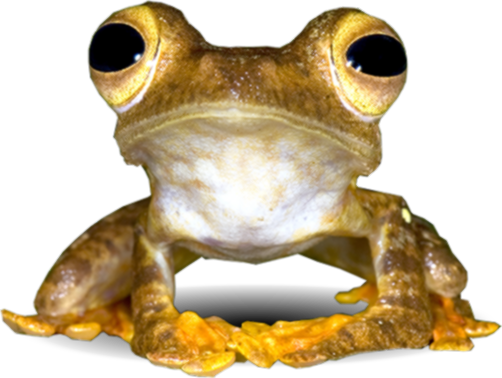 It lives in primary and secondary semi-deciduous and tropical evergreen forest (Nijman & Geissman, 2008) although its primary habitat is tropical hill forest (Gron, 2008). It can survive in secondary forest but only at low densities. This is because secondary forest do not have many large mature trees like the primary forest, which it requires for resting and sleeping. Partially logged forest can also be a habitat of this species but only if there are sufficient large trees remaining (Nijman & Geissman, 2008). The Siamang eats a variety of food consisting of fruits, flowers, leaves and shoots, but also insects and birds’ eggs since it spends most of its time in the trees (Francis, 2008). It plays an important role as a seed dispersal agent in the forest ecosystem as it can defecate seeds over a distance of 300 m, with the shortest distance recorded being 47.6 m from the seed resource. Indirectly, the siamang helps to support forest regeneration and succession (Rusmanto, 2001). It is monogamous and highly territorial. The gestation period is 230 to 235 days (7 months). Typically, every 2 to 3 years, the female will give birth to one young and sometimes twins (Eastridge, 1999). Unlike other primates, the male Siamang plays a significant role in caring for its young. The juvenile is carried and receives more care from the adult male during the day, only returning to its mother at night (Lappan, 2008). The infant becomes independent at 18 to 24 months and reaches maturity at about 6 to 7 years (Eastridge, 1999). Siamang communicate through three types of communication channels, namely, vocal, tactile and visual communication. It uses vocal communication to mark territory and to perform its morning “concert”. Both adult male and female as well as the juvenile have a throat pouch that will enlarge during calling which can produce a powerful sound that can be heard from a long distance. Hence, it is more often heard than seen. The male and female mark their territory vocally by singing a duet. It also wakes up at sunrise to perform its morning "concert". Tactile communication is important in social and anti-social activities, such as grooming and physical aggression. Siamang also use visual communication such as facial expressions, body postures and gestures in order to communicate with each other (Eastridge, 1999). Currently, the IUCN Red List has categorized the Siamang as Endangered (EN) due to habitat loss, selective logging and illegal hunting, as well as trapping for the pet trade (Nijman & Geissman, 2008). In Malaysia, Siamang is protected under the Wildlife Conservation Act 2010 as a Totally Protected Species. Thus, it is very crucial to put more effort in protecting this species while at the same time enhancing the existing conservation measures to save this species from extinction. Francis, C.M. (2008). A Field Guide To The Mammals Of South-East Asia. New Holland Publishers, England. pp. 392. Citation:- Nurfarhana Hizan Binti Hijas & Nor Hazwani Binti Ahmad Ruzman (2018, January). Symphalangus syndactylus (Raffles,1821). Malaysia Biodiversity Information System (MyBIS). Retrieved April 22, 2019, from https://www.mybis.gov.my/art/191.